Thrifty Nerd is reporting that Sony plans to make digital downloads for PS Vita releases 40% cheaper than their retail counterparts in the U.S. market. PS Vita games will supposedly cost as much as $39.99 at launch, so that 40% discount will bring them down to, roughly, $24. 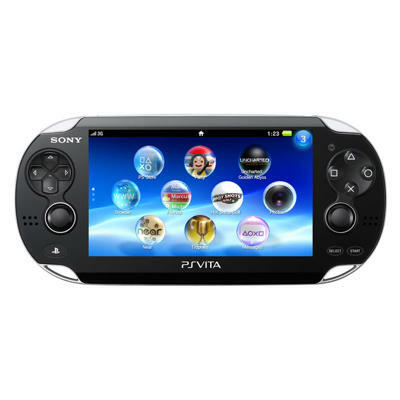 The publication supposedly heard word on the discount from a Sony rep during a recent PS Vita event. The one hitch here, however, is that you'll need to pick up one of the larger PS Vita memory cards in order to partake in the savings. After all, you'll need the free space in order to download these games. If you land the 32GB card, it'll cost you $120. With that said, if you know you're going to be gaming a ton on your PS Vita, you'll probably be able to save a lot of money by buying the big cards and downloading your titles digitally. Yes, you may spend more money up front, but, if this rumor is true, you'll save around $15 on every single game you purchase. You might have to delete and re-download some games if you're tight on space, but that should be an easy pill to swallow if you're saving so much money on games. It'll only take around 8 PS Vita games at 40% off to make up for the money spent on the 32GB memory card. In a way, we suppose, Sony may have created a wonderful model for their most dedicated customers. You'll save money by spending money on Sony's products; for some, that's a win/win situation. Of course, this one is still tucked away in the land of rumor and speculation, so don't go planning how you're going to spend your eventual savings just yet. We'll bring you this rumor's confirmation or denial if and when it comes from Sony.